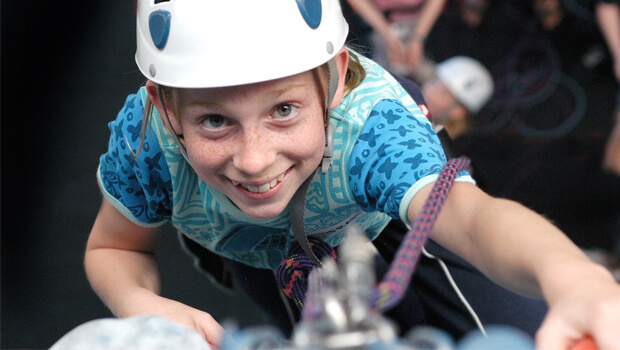 Our 60 minute children’s climbing parties with one of our trained climbing instructors. Ideal for boys or girls of any ability and wanting a party to remember! Great fun and suitable for anyone from 5-7 years. Also, there is a small ratio of just four children to one instructor for a great experience. Let the kids scale our walls whilst you enjoy a quiet coffee in our cafe and catch up on some “me” time, or be there to take some pictures to capture them scale the heights! Finally, party food is available from Bart’s Cafe which needs to be booked separately and in advance. Please call for details and booking availability if required. £90 for up to 4 children per party slot/instructor. You can book for 8, 12, 16 or even 20 children if slots are available at the same time. Please call 0344 880 8866 if you need help with your booking or to arrange Party Food.